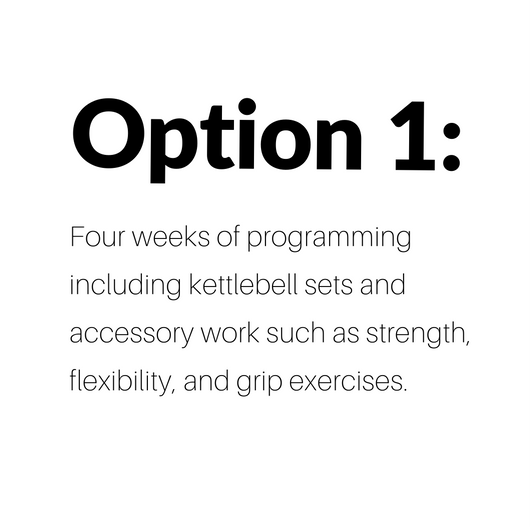 While I highly encourage beginner athletes to learn the fundamentals of kettlebell lifting with a reputable coach in their area, I do offer customized online coaching programs for those who already know the basic sport movements and need help taking their technique and sport performance to the next level. Please select your experience level with kettlebells. Which Option are you interested in? Description is on Coaching page. Thank you for your interest in coaching by Britt. You will be contacted soon for follow-up! I have been a GS enthusiast for the last year, but my gym shut down about 6 months into any formal training I had received. I was searching for someone to help me, as I really wanted to compete. I heard about Brittany through social media, and I reached out to her for help. She was knowledgeable, friendly, and easy to reach. I would bombard her with questions, and she never hesitates to answer! The monthly plans Brittany provides are not just basic information - they truly are catered to helping you learn technique, form, and develop strength, with references and a personalized plan. Want to read more? See testimonials by clients, coworkers, and managers here.